Reported speech - What did they say? 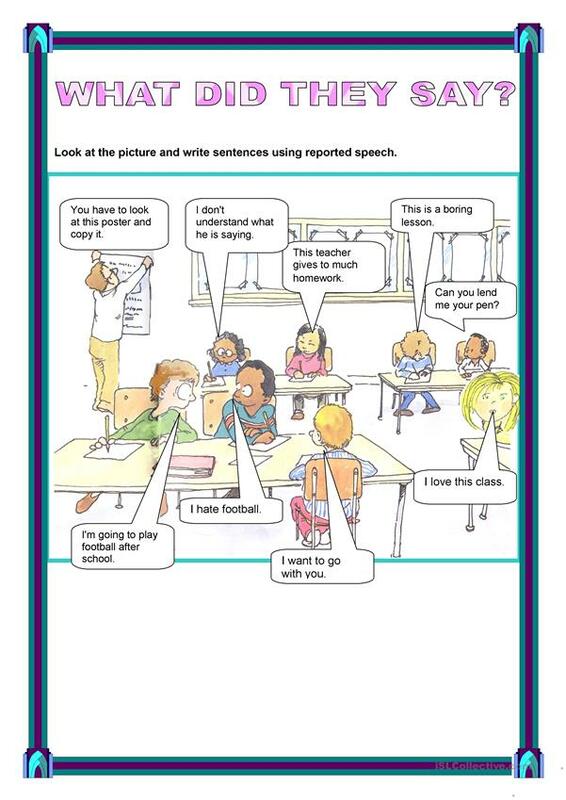 The students have to make sentences using reported speech. This downloadable worksheet is intended for elementary school students at Pre-intermediate (A2) and Intermediate (B1) level. It is great for revising Reported Speech (Indirect speech) in English, and is useful for working on your pupils' Speaking and Writing skills.